Splash of Ginge pulled off a sensational upset for Nigel Twiston-Davies when he romped to victory in the Gold Cup on Saturday. The three-day Cheltenham November Meeting provided plenty of joy for punters as several short-priced favourites landed, but the big race was claimed by a 25/1 outsider. Splash of Ginge came into the feature race in uninspiring form and was not given much of a chance in the buildup to the Gold Cup. However, the nine-year-old relished the sloppy conditions and scored a fantastic victory ahead of Starchitect and Le Prezien, while favourite Kylemore Lough fell. Rain lashed the famous racecourse on Saturday, which played right into Splash of Ginge’s hands, but a soggy crowd was not complaining as several popular choices secured victory. Apple’s Shakira, a sister to the famous Apple’s Jade, landed the opening race on Saturday as the even-money favourite, while Black Corton came in at 4/1 for Paul Nicholls in race two. Thomas Campbell won the Listed Regulatory Finance Solutions Handicap Hurdle after going off as the 13/8 favourite, while 9/4 favourite Posh Trish won the final race of the day. There was joy for a longer shot in the Martin & Co Jewellers Intermediate Handicap, however, as Coole Cody came in at 25/1. And one city, in particular, will be celebrating after Splash of Ginge’s 25/1 win in the big race. Owner John Neild is a Liverpudlian and trainer Twiston-Davies said: “The whole of Liverpool has turned up, it’s really brilliant.” The Liverpudlian fans cheered on their hero and cashed in their bets, making for a jubilant atmosphere on Saturday. 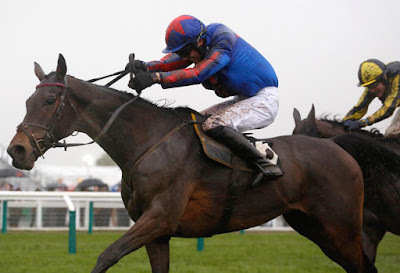 Neild’s ambition is to give Splash of Ginge a crack at next year’s Grand National – which, of course, is held on Merseyside at Aintree – and he will be interesting to watch in the sports spread betting markets as he will get a lot of attention from Neild’s legions of fans. A similar pattern emerged on Sunday as several short-priced runners came in at Cheltenham. Melrose Boy, the 11/4 favourite in the Velcourt Conditional Jockeys’ Handicap, set the tone with a dominant victory to start the day. Next up North Hill Harvey landed the Arkle trial at 6/4, ahead of evens favourite River Wylde. North Hill Harvey was well tipped in the buildup to the race and he lived up to the hype with a sensational performance. Dan Skelton’s six-year-old had won the Greatwood at this meeting a year ago and returned to win this Grade 2 contest in dominant fashion, beating the favourite by 18 lengths. Fox Norton went off as the 4/5 favourite for the Shloer Chase and justified his status by holding off the challenge of Cloudy Dream to secure victory. Special Tiara was expected to cause his stablemate problems, but Fox Norton was far too good for the field and won by eight lengths. He seems destined for greatness and his win was all the more poignant because owner Alan Potts died last week. The longest priced winner on the day was Elgin, who came in at 10/1 in the Greatwood after a thrilling battle with Misterton. The opening day of the meeting saw Kingswell Theatre claim the Glenfarcas Cross Country Handicap Chase at 14/1 after Cause Of Causes was declared a non-runner. Paul Henderson’s Doitforthevillage delivered on his promise to win the BetVictor Handicap Chase at 13/2. He produced another excellent performance, finishing two lengths clear of Kapstadt, and he too looks like a star of the future. But the biggest win on Friday went to Finian’s Oscar, the 10/11 favourite in the Steel Plate and Sections Novices’ Chase. He too was racing for the late Potts and produced a scintillating display to win by two lengths. Finian’s Oscar was a Grade 1 winner over hurdles and has made a seamless transition to fences. He won his debut at Chepstow last month and was lumbered with a 7lb penalty for that win when he lined up for the Steel Plate, but he won comfortably, and expectations will be extremely high for him going forwards. Finian’s Oscar, Doitforthevillage, Fox Norton and North Hill Harvey will now be the ones to beat at the March Festival. 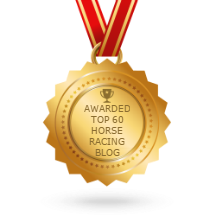 Martin Green is an experienced tipster and horse racing correspondent.